Give Fandor To The Cinephiles On Your List. Our Readers Get 50% Off Til Christmas! - Are You Screening? Tis the season for holiday gifting…and for all of the procrastinators out there, it’s also the season for frantic trips to crowded malls and paying for overnight shipping. One solution for the cinephile in your life is a gift subscription to Fandor, a streaming film service specializing in acclaimed (and hard to find elsewhere) independent and classic features, shorts and documentaries. It’s Christmas Day, and you just realized you forgot to get your celluloid-obsessed cousin a gift? No problem! 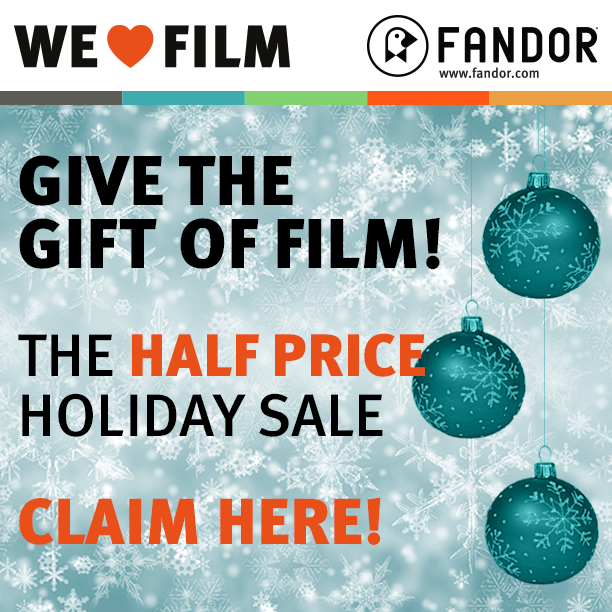 Fandor is offering an amazing 50% off deal on all gift subscriptions to our readers from December 19th through December 25th; just click the image below! And the best part—you can buy that last minute gift anytime and have it delivered to anyone on your shopping list instantly at click of a mouse.